Tell Me Something I Don’t Know (TMSIDK) is the interview podcast hosted by cartoonists Jim Rugg, Jasen Lex and Ed Piskor at Boing Boing. This year the TMSIDK guys had the rare opportunity to sit down with our fearless leader Shelton Drum and talk about his career as a comics retailer and convention organizer. It’s a great talk so check it out; you may even learn something you didn’t know about Shelton! Thanks to TMSIDK, Boing Boing and our tireless Panel Coordinator Andy Mansell. The great sound on this recording is provided by Adam Daughhetee. 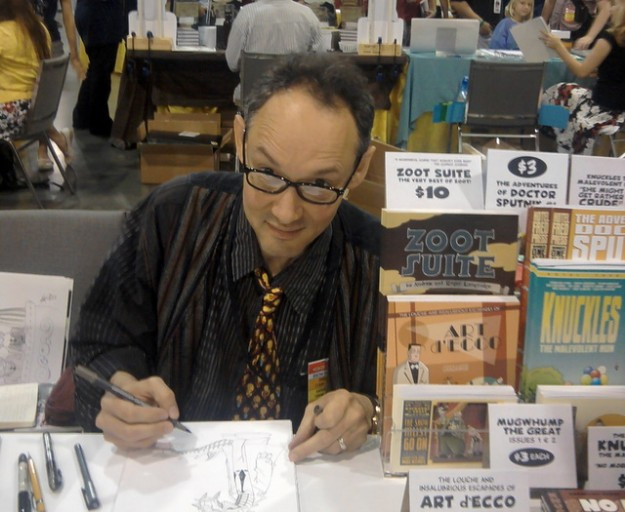 With HeroesCon less than one month away, I’m happy to bring our blog readers this interview with the talented Ed Piskor. Ed’s already had a notable career, including work on original graphic novels like Wizzywig and collaborations with Harvey Pekar on The Beats and Macedonia. 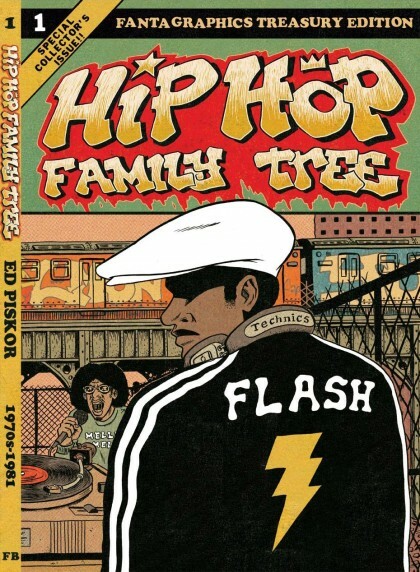 You may have heard industry rumblings about Ed’s newest project, Hip Hop Family Tree. Aside from being one of the most comprehensive sequential studies of a genre that’s ever been undertaken, it’s a work that’s already receiving due respect and acclaim from both the comics and music communities. Make sure to stop by Ed’s table next month at HeroesCon and see why everyone’s talking about this book. Seth Peagler (SP): Ed, I’ve known you for a few years now, and it seems like every time I’ve run into you, we’ve talked a little bit about this book-in-progress. Through those conversations and preparing for this interview, I realized that Hip Hop Family Tree is something you’ve been living with and building toward for a long time. How long do you think you’ve been consciously or subconsciously developing this book, and what made you want to collect it in this format now? Because it’s going to be an all encompassing and comprehensive work, it’s going to take forever to tell the entire story the way I want it to be told. In this day and age of the ADHD internet attention span, I felt it best to produce maybe one book a year to keep up a presence. Otherwise, I’d have to disappear for a decade and emerge with a doorstop of a comic, and that’s not quite sustainable or necessary. Some eras are more important to some people than others. A 100+ book per year feels right. SP: A big part of the draw of the book for me is that you’re going back to the real roots of Hip Hop and tracing its progression over the years. Even though I know you’re a fan, did you consult many sources outside of the music? Are there many definitive histories of Hip Hop that you could even consult? EP: There were some interesting things to look at while writing the book. It’s necessary to know the political/economic climate at the time. The fine art scene plays an integral role in the development of early Hip Hop as well, which many people might not know. If it wasn’t for the downtown scene gravitating toward graffiti culture it could have all died out in the early 80s. There are several good books to reference out there, but, there are also 30 years of interviews with everybody who matters which are accessible either online, in magazines, or youtube. My goal is to take all the best stuff I can find from everywhere and distill it into a fun comix narrative. A tough goal, but, it’s what I’m shooting for, nonetheless. SP: Along the way of writing and drawing the book, did you stumble across any lesser known artists whose stories you felt you needed to include? Since it’s essentially a history of the genre, did you feel compelled to tell it chronologically, or did you allow yourself to veer from that path at any point? EP: Being a fan of Rap music already, this project gives me the chance to fill in the gaps of my knowledge. I’m not necessarily discovering new people to cover, but, I’m discovering what makes certain, more obscure people, important in the greater scheme of things. SP: As a musician and someone who is just starting to write comics that incorporate elements of music within my stories, I’ve run into some difficulty conveying the gravity of rhythm and melody on a page. I’ve seen several of your pages where you seem to not only capture the energy of specific artists and their charismatic stage performances, but also convey the communal aspects of an impacting live show. 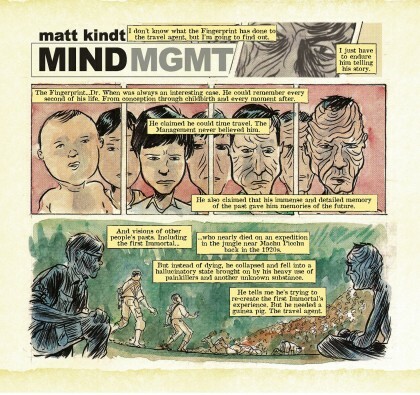 How did you go about capturing the specific musical identities of these performers through the art of comics? EP: During such sequences the characters need to be larger than life and maybe even downright Kirbyesque if/when possible. 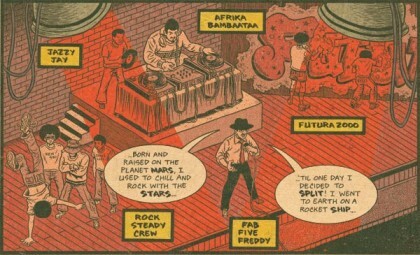 The Hip Hop Family Tree, however, is more about the actual relationships that went into creating hip hop rather than just focusing on the music. SP: I’d like to bring up one of your earlier books, The Beats. For those who aren’t familiar with it, in it you collaborated with the late, great Harvey Pekar, one of comics’ true innovators of journalism and memoir. Of course, the Beats chronicled historical and cultural figures within the Beat movement, but I’d imagine you learned a lot from working with Pekar on that specific book that might have been beneficial for you on this project. 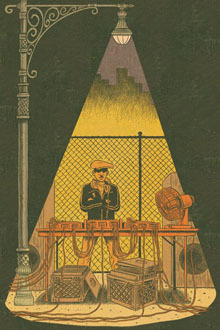 Were there any memories of collaborating with Pekar that resonated with you while you worked on Hip Hop Family Tree? EP: I think working with Harv on The Beats gave me a strong clue into how to move the narrative along. Between each panel, days, months, or years can go by, and deconstructing Harv’s work gave me a roadmap for how to keep things tight. How to choose the correct moments to cover. Things like that. 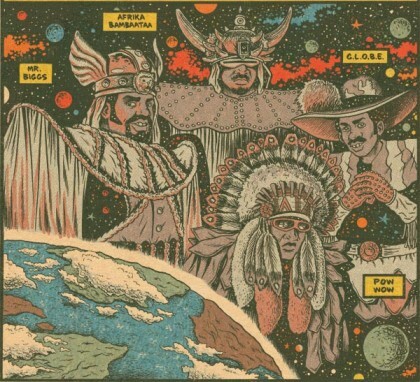 SP: From what I’ve seen and read, Hip Hop Family Tree kind of stands alone as a unique chronicle of music in comics form. I’m excited that Fantagraphics is publishing the book, and I know you’re already receiving critical praise from comics journalists. Have you had much feedback from Hip Hop artists and journalists who cover the music? EP: Yep, my phone number now seems to be within a network of rappers and journalists because I will randomly get calls from people at any hour of the day or night and it’s always a pleasant surprise. I don’t want to be a name dropper though. Everybody seems really into it and it’s creating a situation where I’m able to get some precious info that will enrich the story and that’s a cool bi-product that I wasn’t expecting. It’s cool too when different musicians tweet the strips. It helps propagate the material and spread the work. SP: Finally, I’m wondering if you’ve allowed yourself to think about what kind of project you might want to work on next? EP: Another thing about this project is that with the scope of the story I’m trying to tell, I know what I’m going to be working on for the foreseeable future. SP: Thanks again to Ed for taking time out of his busy schedule for an interview. 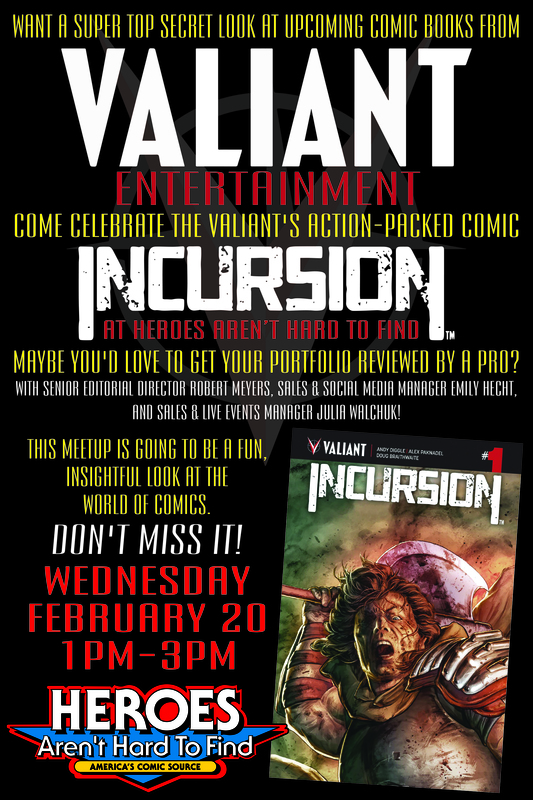 Make sure you make it a point to stop by his table next month at HeroesCon. 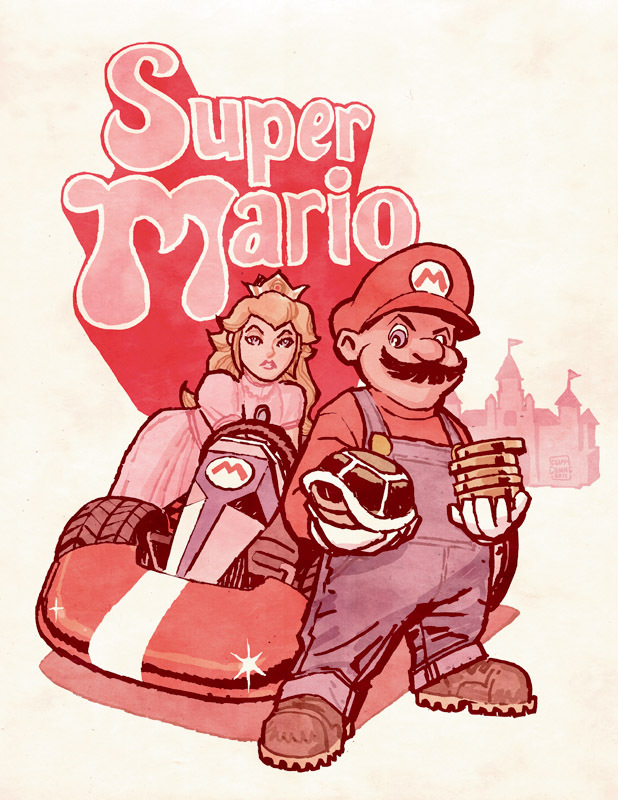 His original art is something you’ll definitely want to see. 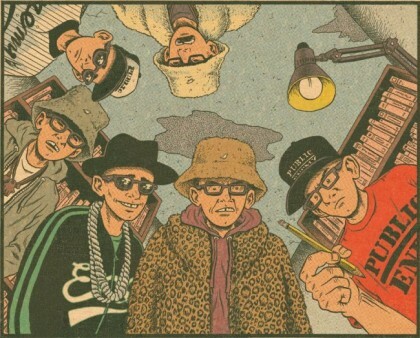 Remember to pick up Hip Hop Family Tree when it hits the shelves. 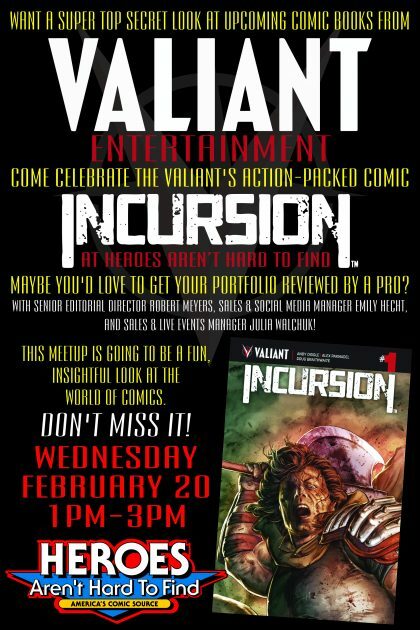 Rest assured, myself and other Heroes staffers will be talking about it when it does. Over the past several years, writer Matt Fraction has produced a varied body of work, ranging from big company events like Fear Itself, to smaller, character driven books like Immortal Iron Fist. Let’s not forget he also managed to write fifty-plus issues of Invincible Iron Man and still maintains creator owned projects like Casanova. Fraction currently reunited with Iron Fist collaborator David Aja on the critically acclaimed Hawkeye series, and is taking over Fantastic Four and FF as part of the Marvel Now event. 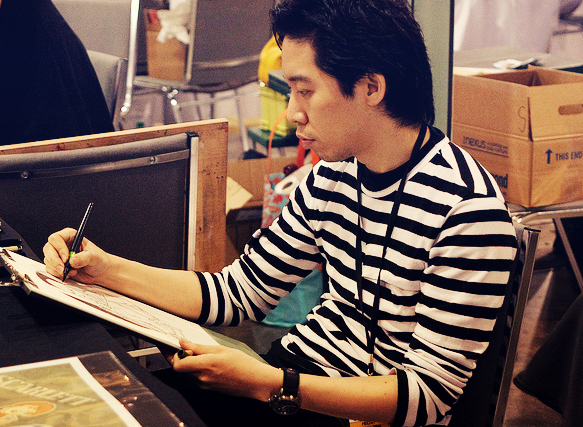 Plus, Image announced that he’ll be working on even more upcoming creator owned titles for them in the near future. With all these irons in the fire, Matt still found time to answer a few questions, and I appreciate it. but before I do, I really need to say something and then thank some folks individually. To Laura Martin and Val Staples for taking a techno-disaster and turning the Coloring Panel into a fascinating hour and a half for all the attendees who stuck it out! Special thanks must go out to Becky Cloonan, Francesco Francavilla, Roger Langridge, Scott Snyder, Steve Saffel and Mike Mignola for each agreeing to appear on so many panels. Thank you all for giving so selflessly of your time! To my all-star moderators– DapperDoug(the M is silent)Merkle, SNAPS!, Dustin Harbin, our Mod Rookies— Seth Peagler & Heather Peagler from Exile on Plain Street and Not so DapperJason (Stone Ground) Wheatley, and of course our out of town internet ringers–Mike Eury (Back Issue), Jimmy Aquino (Comic News Insider), Chad Bowers (Awesome Hospital), Tim Callahan (Genius Boy Firemelon), Cap Blackard (Consequence of Sound), B. Clay Moore, Heidi MacDonald from The Beat and Johanna Draper Carlson from Comics Worth Reading. Chris Pitzer, Pants, & Scott C.
To my brain trust of Craig Fisher, Chris Schweizer, Mike Kobre and Steve Saffel and that intense hour that was the Comics Canon Panel. Who’d of thought a hoard of agitated librarians would make such a rabble-rousing lynch-mob/panel audience. We must do that again next year!! To Jaime Hernandez for providing two of the best hours I’ve ever spent discussing comics. The man is as eloquent and entertaining as he is a great artist. I am certain we could have stayed and listened to him of another two hours at least. To Ben Towles and Craig Fisher the brains behind the brilliant 1982 mega-panel. Every year they impress. And thanks for letting me prattle on about Master of Kung Fu. 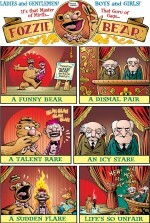 what a comic! what a panel! what complimenting! To Jere Thomas and his WTVI posse for helping to make this special weekend even more special. Sorry I was unable to make our post-con interview– the spirit was willing but the flesh (my tendon in particular) was weak. To Michaele Autry and Trey Alexander for organizing an art auction for the ages that left us all gasping and spending! I still say that Frankenstein water color by Bill Sienkiewicz was the best piece! To the entire Heroes staff and volunteers (and especially Shelley (Conun) Drum!!) for keeping the Stan Lee situation under control. Truly you all showed Grace under Pressure. This all culminated in our great Stan Lee Panel Row Shuffling Incident (as it would come to be called) that you had to see to believe. But most of all… I must thank THE PANEL DREAM TEAM: (Valiant) Val Staples!, Kate (Indivisible) Nation, Matt Tyree, Lauren Dillard, Pants, Emily Joyner and the Unflappable ™ Adam Daughhetee, Shawn Daughhetee, Devin Bannen and that Ted Tarver person. You made everything work. I can’t thank you enough. And thank you all for laughing at the same 10 jokes over and over and over–next year– 10 all new jokes, I promise! And our utility infielder Professor John Larison of SCAD— take a bow! Rico Renzi, Karla Marsh and Shelton Drum for having faith that we could tame that 70 panel gorilla. Rico your leadership skills are amazing. And Shelton— here’s to 30 more! I can hardly wait! 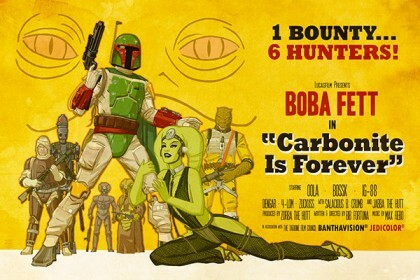 HEROESCON 2012 :: REPORTS, PHOTOS, VIDEO, & MORE! 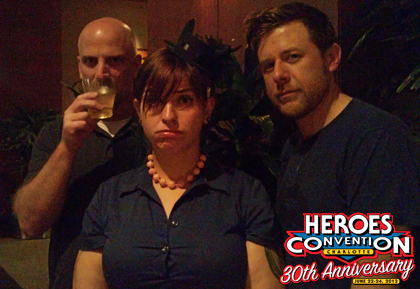 Thanks to everyone for making our 30th Anniversary HeroesCon so great! Here are some links to what others saw and did at the show. More memories and photos from HeroesCon 2012 to come! Please share your photos and links with us on our Facebook page! Thanks again and we’ll see you next year, June 7-9, 2013! If you miss your friends from HeroesCon please visit our store! 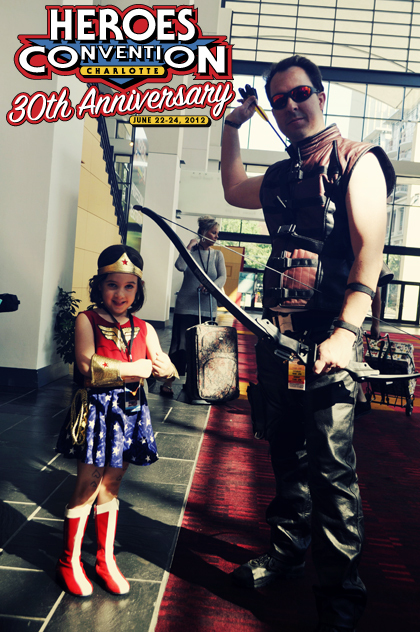 This Sunday Heroes celebrates the 35th Anniversary of the Charlotte MiniCon! 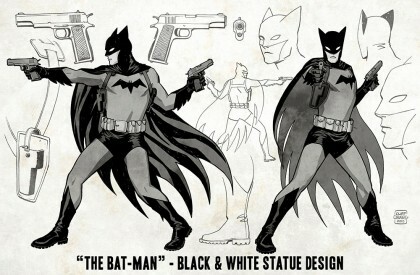 As part of the celebration we are honored to have artist Cliff Chiang appear as one of our featured guests. Aside from being universally regarded as one of the nicest guys in the industry, Cliff’s also one of comics’ top illustrators. Just take a look at DC’s new Wonder Woman series and you’ll see why. We recently talked with Cliff about his appearance this weekend, and some of his recent work. Make sure to stop by the MiniCon this Sunday and welcome Cliff back to Charlotte! Heroes (H): Your collaboration with Brian Azzarello dates back to your time as an editor of 100 Bullets and your work together on DC’s excellent Doctor 13 stories. 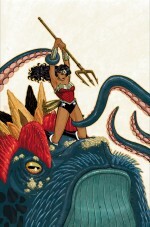 What made Wonder Woman seem like the natural next step in your collaboration? Cliff Chiang (CC): I’d been itching to work with Azz again ever since Doctor 13, but I had some longer projects that delayed those plans. When Azz called me about Wonder Woman, I realized it was a great opportunity to be creative and confuse people at the same time! I was in. 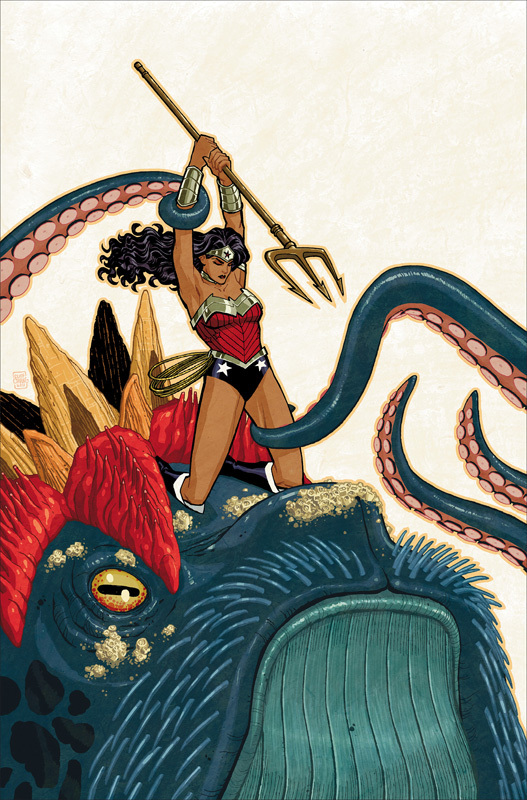 H: Your work with Azzarello on Wonder Woman has received wide acclaim, and of all DC’s 52 relaunched titles it’s probably one of the truest examples of how to start a title over. Have you and Azzarello talked about how long you plan on working on the book? CC: As long as they’ll have us. We have some long term plans for the story, and I’d love to be able to see them though. H: At every convention we see you at you always manage to have some cool new prints available. Are you planning on debuting or featuring anything new at the Mini Con? CC: We’ve got the exclusive MiniCon screenprint by me and Dustin Harbin, for a measly $10! Hopefully, I’ll get another image done for HeroesCon later this year. So much to do! H: We’re glad you mentioned that! 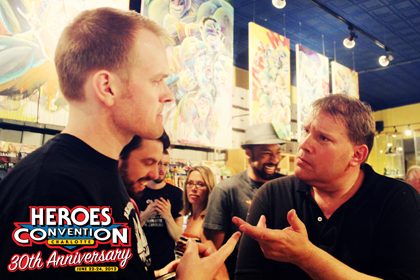 We’re happy that you’ll be back in Charlotte for HeroesCon this summer to help us celebrate our 30th anniversary. CC: HeroesCon was the first show I was ever invited to as a guest, and since then I’ve come back every year. The people are so warm, the energy is great, and it’s clear that the whole thing is done out of love for comics and the community. I’m proud to be a small part of that. Plus, I’ve made so many good friends in Charlotte that I’m more than happy to be able to spend a few days in Charlotte. H: Whose idea was the What Not Blog? CC: I think it was Reverend Dave Johnson’s brainchild. It’s inspiring to see such a diverse group of artists just messing around like that. H: Where do you guys find the time to do these fully realized illustrations on top of your paying work?! CC: It can be hard, but it is a lot of fun. I probably should do less-finished stuff and post more often, but sometimes I love an idea and wanna show some more care. 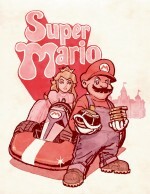 H: Finally, what are some of the comics that you’re most looking forward to seeing in 2012? CC: Two things I’m looking forward to in 2012 are the conclusion to Loose Ends (I did not pay him to say that. -rico.) and the print version of Robbi Rodriguez’s Frankie Get Your Gun. Thanks to Cliff for taking time to answer a few questions. 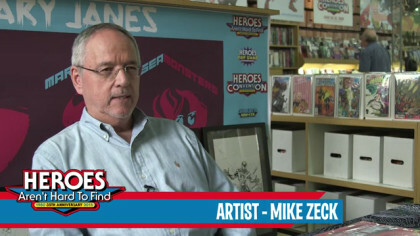 You can meet him and a slew of other great artists this Sunday at the 35th Anniversary of the Charlotte MiniCon! 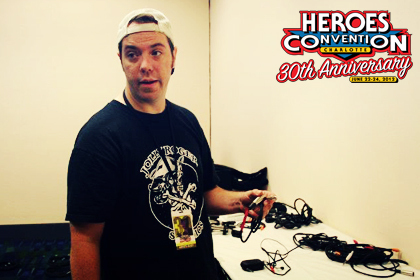 Roger Langridge has been a part of HeroesCon for several years now, and has become one of the anchors of Indie Island. 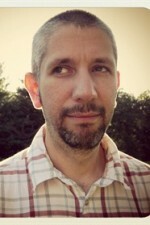 Roger is a cartoonist who manages to garner respect and enthusiasm from a wide gamut of readers. Kids love his comics, other cartoonists study his line work, and comics retailers appreciate the accessibility of his books. He’s also a creator who manages to be as adept at crafting entertaining comics for properties that he didn’t create (The Muppet Show), as he is with characters he did (Fred the Clown). Above all, if you’re lucky enough to talk to Roger, aside from the fact that he’s a genuinely nice person, you immediately understand that this is a guy who is passionate about comics. He loves this medium, its history, and the possibility of turning new readers onto the joy of comics. It is that combination of skill, respect, and enthusiasm that makes Roger such an interesting creator, and I’m happy to share a recent interview I conducted with him on the Heroes Blog. Seth Peagler: First off, Roger, thanks for talking with me. Since issue #2 of Snarked! recently hit stands, I’d like to start there. 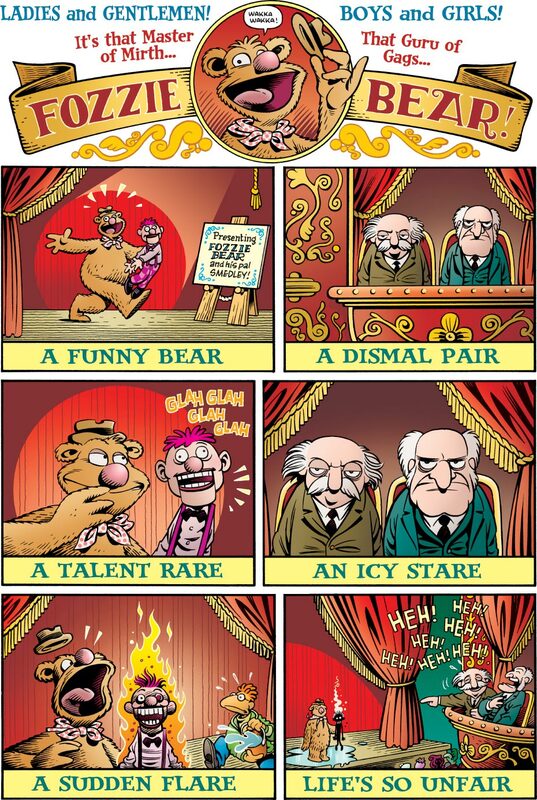 Your previous work on Fred the Clown shows that you have a real affinity for wordplay, but it seems like Snarked! is really giving you a chance to stretch out as a writer alongside your artwork. When it came time to do a new original series, was the idea of bringing Lewis Carroll into comics something that you’ve long considered? Roger Langridge: Well, I’ve played in the Lewis Carroll sandbox a few times before – I did a Frankenstein meets Shirley Temple minicomic on the subject of Carroll, I’ve done some Carroll-inspired Fred the Clown strips, I did a Gonzo Mad Hatter Tea Party in The Muppet Show Comic, and Scott Gray and I did a Doctor Who story, The Autonomy Bug, which featured robot counterparts to a lot of Carroll characters. I’ve read the Alice books many, many times since I was a kid. So I was very familiar with that world before I started. When I was coming up with Snarked!, I had this idea that it would be a much easier sell if it featured some characters who were already familiar to a general audience, even if those characters had been filtered through my own sensibilities to a large extent. And I love writing comedy double acts. So I sort of started with the Walrus and the Carpenter as the central characters and built outwards from there. SP: Was the idea of incorporating stylistic elements of his writing something you consciously saw as a means of challenging and entertaining yourself as a writer? SP: I do think rhyming has become one aspect of your writing that readers respond to, but in many ways I think Snarked! represents how you have continued to diversify your work as a writer. Aside from your continued work as a cartoonist, I’ve noticed how you’ve started writing more for projects that you don’t illustrate. RL: Yes, that’s been a lot more fun than I expected. Writing for other artists is something I never set out to do – I always wrote just so I would have something to draw – but I’ve found myself becoming a writer almost by accident and – much to my surprise – I really, really like it. It’s helped that my collaborators have been great – it’s always nice when an artist comes back with something better than what you’d imagined, and that happens gratifyingly often.